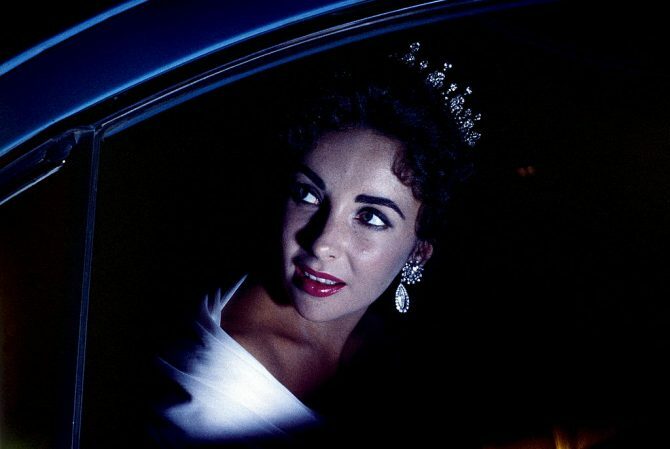 In the midst of the 2019 Golden Globes, jewelry designer Brent Neale tagged me in an Instagram Story of Elizabeth Taylor wearing her antique diamond tiara and asked if the star wore the jewel at the award show back in the day. She didn’t wear it to the ceremony but she did wear it to a party at the Coconut Grove the day before the February 28, 1957 event. She also wore the glamorous headgear on March 27, 1957 at the Oscars. A few months later, Taylor put on the tiara a third time at the Cannes Festival. While some may bemoan that stars only turn up in borrowed jewels today, I wonder how the same folks would feel if a star put on the same jewel to almost every major red carpet of one season. 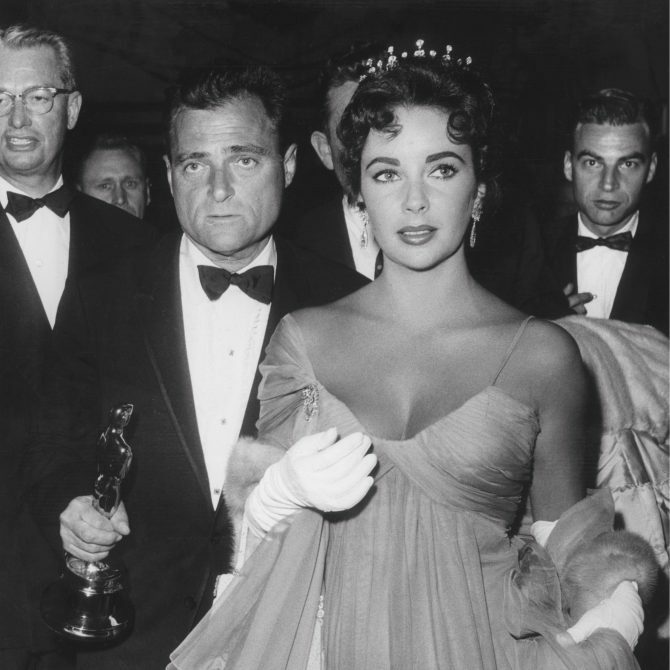 Clearly, Elizabeth Taylor did not care what the public thought. She loved wearing her jewel. The extravagant piece was a gift from her third husband producer Mike Todd who was on the rounds of the awards shows and Film Festival for his epic movie, Around the World in 80 Days. 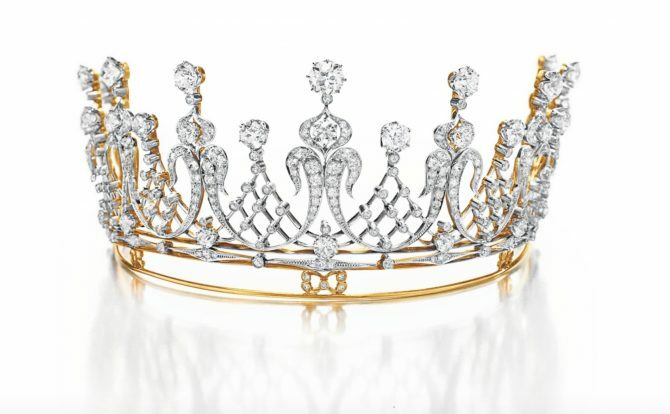 In her book, My Love Affair With Jewelry, Taylor said “When Mike gave me this tiara, he said, ‘You’re my queen, and I think you should have a tiara.’” The tiara wearing of the 1950s was inspired by the marriage of Queen Elizabeth II of England in 1947 and her subsequent coronation in 1953. 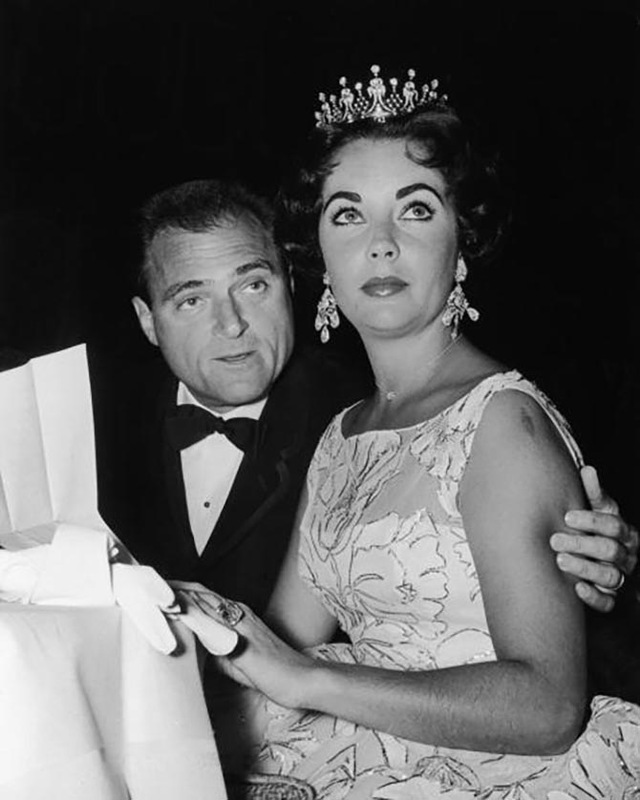 After the big royal events, the tiara remained a popular style for Americans to wear at galas. Silver screen star Gloria Swanson wore a tiara to the New York Knickerbocker Ball of 1950 and Paulette Goddard borrowed a tiara from Van Cleef & Arpels for the 1951 New York Art Students League Diamond Jubilee. Taylor put on the tiara again for a showing of Around the World in 80 Days at the Cannes Film Festival in May 1958. 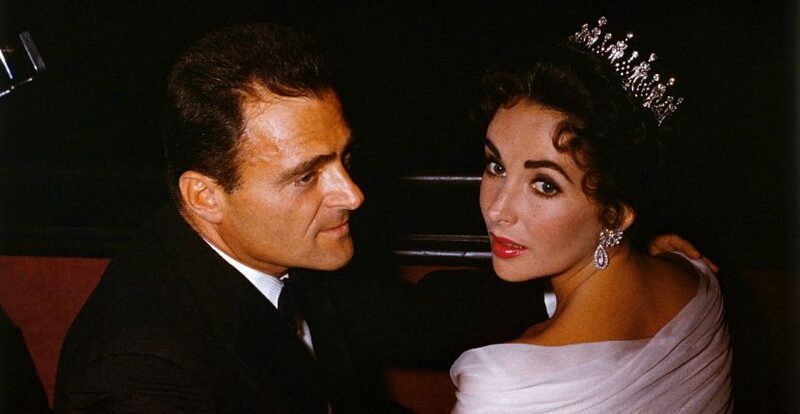 The jewel highlighted a golden season for her with Mike Todd who died in a crash of his private plane—”The Lucky Liz”—on March 22, 1958 as he was flying to New York to accept the Friar’s Club award for showman of the year. When Taylor received the news, she was two weeks into the shoot of Tennessee Williams’s Cat on a Hot Tin Roof. Although she was grief stricken, the star managed to turn in an Academy Award-nominated performance. Even though Taylor did not wear the tiara as often as many of her other important jewels, the piece still became iconic. For one reason, it’s a tiara and that is always attention grabbing. The jewel’s fame is also attached to the fact that Taylor wore it on such high-profile occasions. When the piece appeared at Christie’s in 2011 with Taylor’s estate the formal description said, “Designed as nine old mine-cut diamond scrolls with larger old mine-cut diamond terminals, spaced by old mine-cut diamond latticework motifs, mounted in platinum and gold, circa 1880, 9 5/8 ins. circumference.” The jewel’s high estimate was $80,000. It sold for $4,226,500. The buyer has chosen to remain private.